Why Social Entrepreneurs are FOR PROFIT. We're building wildly profitable companies that ARE ALSO wildly impactful. We've got a social impact that we care deeply about and we're not afraid to bake that impact into our businesses. You might call yourself things like: social impact entrepreneur, purposeful entrepreneur, or just an entrepreneur who gives a damn. Companies like Warby Parker, TOMS Shoes, and LSTN Headphones are our role models. 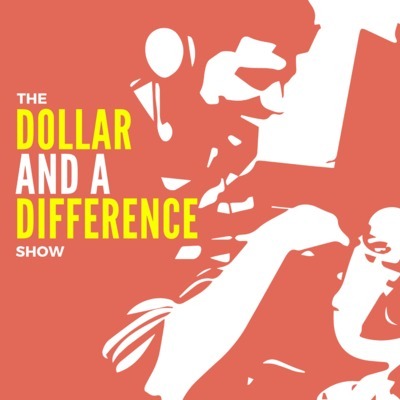 So, if you are making a dollar AND a difference with your business (or if you want to) this podcast is the place where you can figure out how to do it. S4 | E10: How can I get an effective website running and generating sales? Sales... it's one of the toughest things for any business to tackle and impact businesses are no different! Join Josh as he goes LIVE with Kelli, the founder of Oh Fuudge! To chat about how she can ramp up sales of her sustainable chocolates! www.ohfuudge.com ____ Thanks as always to our show sponsor, Kajabi! Kajabi is THE all-in-one platform to help you build a community of customers that love you and love doing business with you. Click here for your free 28 day trial of Kajabi! Want to see the podcast LIVE? Join our Facebook group here to catch us LIVE! S4 | E8: I've got tons of traffic to my website but few purchases - Help! S4 | E9: How do I build an impact business when my health isn't cooperating? S4 | E7: What's the best way to price my offering? S4 | E6: Is FAILURE nature's way of clearing your head? S4 | E5: How do you build a business when you don't think you have enough capital? S4 | E4: Measure What Matters. Ditch What Doesn't. Double Down on What Does. S4 | E3: Are you struggling to grow a Community of Customers? S4 | E1: Are you stuck in the SCRAMBLE? S3 | E14: Does our ‘Social Impact’ really matter? S3 | E13: Didn’t hit your goal? Keep moving anyway. Monday Impact Moment: Measure What Matters. Ditch What Doesnt. Double Down on WHAT DOES. It's the thing almost all of us cringe at...SELLING. We say to ourselves, can't we just hire someone to do it? Or can't we just partner with a marketing guru to make it all go away? The most honest answer to these questions is NO. The simple fact is that if you want to make it in social impact entrepreneurship it WILL mean selling yourself and the impact you're making. So, Josh made this podcast to help you make this easy as pie. P.S. Huge thanks to www.antonfrans.com for sponsoring the show - let's show em' some love by checking out their high quality shades that are revolutionizing sunglasses AND giving back to a cause you choose. S3 | E10: Don't ask customers what they want. Ask them what they DON'T WANT. S3 | E7: BONUS - Live Q&A with YOU! Thanks to Live the Give for sponsoring this series! Let's show them our love by jumping on their site and checking out some of their great socially conscious clothes right here: www.livethegive.org This was a super fun episode because Josh went live and answered questions from all of you straight in the Facebook group! Here are some examples of the questions: Alyssa wants to know about the process of becoming 'B-Corp Certified' (that's like the 'certified organic seal' of social impact business)? Kevon asks about the best ways to get startup capitol? Lisa want's to know when's the best time to make the leap full-time into her social impact business? Ashley wants to know the best way to get a logo on a shoestring? Tune in and there's bound to be an answer to a question you've got! Did you know that millennials are overwhelmingly buying from cause based brands over regular ones? Join Josh as he goes live to talk about these stats and more that show that Social Entrepreneurs are here to stay. S3 | E1: What is Social Entrepreneurship and Why Does it Matter? In this first lesson of our mini-series on 'Social Entrepreneurship 101' we talk about the definition of social entrepreneurship and the many different forms of social impact businesses that we see in the world today. S2 | E8: LIVE - Your questions answered! S2 | E5: What is Social Entrepreneurship? Check out this rockin' podcast where Josh interviews Jonny Price, the President of Kiva US. They chat all about microcredit, small business, and how YOU can get up to a $10k interest free loan for your biz that's making a dollar AND a difference. S2 | E3: What could a dose of desperation do for your business? As social entrepreneurs, we're tasked with bringing hope into some often desperate situations. While this can create extremely challenging times for us as entrepreneurs it can also be one of our greatest strengths when viewed properly. Join Josh as he gets you 6 ways that building in a sense of urgency and channeling desperation in your business is a vital way to make a dollar AND a difference. S2 | E2: Don't be Vanilla. Social entrepreneurship means challenging entrenched ideas and taking on business as usual. Join Josh for this impassioned podcast where he gets you strategies for not being vanilla in your social venture. This post originally appeared in Millennial Magazine. Check out the transcript below for links to everything Josh mentioned: Article after article has shown that millennials are the most purpose driven generation. We value purpose over the size of our paycheck, demand meaningful work, and are consistently on the hunt for new ways to change the world. Enter the social entrepreneur. Millennials are also called the most entrepreneurial generation ever. After watching our parents get booted out of work during the recession, we millennials are highly skeptical of corporate America. On this revolutionary day, join Josh as he talks all about the social entrepreneurship revolution and why it's here to stay. BONUS: Josh rants about why you've gotta be profitable to be a sustainable social entrepreneur. If you're a startup social entrepreneur, the chances are high that you've been asked this question. Tune in today as Josh gives you the ammunition you need to answer it confidently and passionately. Mission Belt - The Perfect Fit, Every Time. Welcome to this latest installment in Social Entrepreneurship 101. If you missed the other lessons, check out the audio versions here. Today, let’s chat about your partners who’ll help you build your venture. The fundamental truth of social entrepreneurship is this: we’re all in it together. Social entrepreneurs are the most generous, caring, and helpful people on the planet. But we’re also business minded. So, as you create your movement, come up with ways to create synergies that result in a win for all parties involved. Social Entre 101: what will you offer for social good? In a hurry and just wanna listen to this post? Click here to subscribe to our podblog on Itunes! Hey & happy Friday! An audio version of the blog post for the week. Josh goes one on one to chat about the latest in his life and journey toward becoming an agent for social change. Hey Change Nation! It's time for Part 2 of our interview with Mason Wartman, founder of Rosa’s Fresh Pizza. In this part of the interview, Mason shares his top three areas to focus on for success in business or a social venture. Mason also provides insights to questions such as, what do you focus on from the start? How can you define who you are as an entrepreneur? Lastly, we discuss the importance of remaining open to the opportunities that will arise along the way. Listen below to find out how Mason has used these areas of focus to accomplish success with Rosa’s Fresh Pizza, and make an impact on lives every day for just $1! Mason wraps up the interview by answering our blitz questions to provide you with great advice and resources! Check out our show notes below for those! A Forbes 30 under 30 Entrepreneur who is transforming Higher Education through Thinkful, a social venture he founded in 2012 as part of the Thiel Fellowship. This fellowship encourages bright college students to take time off from school and start disruptive ventures. Today Thinkful is reaching tens of thousands of students and teaching them skills in technology, programming, data science, and design all through their unique one-on-one teaching system! Thinkful targets students who are looking to start a new career, want to grow in their current career, and who are interested in starting their own companies. Listen in as we talk with Dan about new and exciting developments within the field of education! Join us for Part 2 of the interview with Michael Limatta on bridging the digital divide, Google Fiber, and creating tech opportunities! Check out the Connecting for Good website. Did you know that there are many in the United States without internet connectivity? Michael has been a longtime Change Agent in Kansas City and his passion is for bridging this digital divide. Join us today as he talks about Google Fiber and connecting the un-connected in Kansas City. This week we talk with two change agents and disruptors in the energy industry. Kiran Bhatraju and Ryan Nesbitt are the founders of Arcadia Power. FAIR TRADE FASHION. What does that mean to you? This week we talk with Phil Ozorkiewicz, founder of OJOS Eyewear, about sustainable fashion and social entrepreneurship. We are back with Part 2 of our interview with Tyler Merrick of Project 7. Tyler answers some of our rapid fire questions and gives great advice and insight that is definitely worth the listen! We are back talking with Kari Brizius of Relan. Relan is the social enterprise that works to reduce waste by repurposing banners and billboards into promotional bags and accessories. Kari answers some question about some of the unique characteristics of Relan and sustainability before going through the lightning round Q & A’s. This week we have a podcast guranteed to be a lot of fun for anyone passionate about fashion, marketing, and up-cycling. GET EXCITED CHANGE NATION! This week we are talking about LEGAL ISSUES! Wait… What? Listen in as we’re back for Part 2 of our interview with Kyle Parsons of Indosole. In this section, we ask Kyle a couple of questions on the specifics of Indosole’s philosophy, mission, and structure before getting into some rapidfire Q&A’s. Looking to add a new revenue stream help fund your Nonprofit or Social Enterprise? Try becoming a blimpies franchisee. 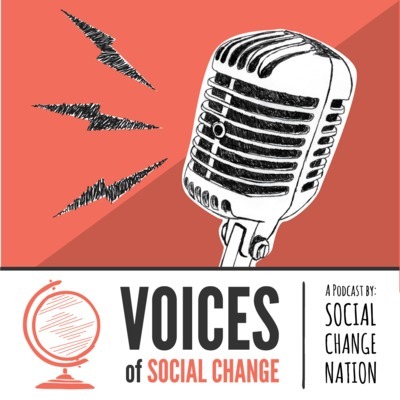 Voices of Social Change crosses the pond to connect with Richard Morris of The Giving Machine in the UK. Listen in as we hear from the founder of MADI Apparel and native Kansas Citian, Hayley Beshee. 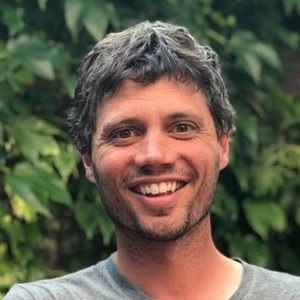 Zac Holzapfel is the Co-founder of Mission Belt, a company whose mission is to help people around the world break out of the poverty cycle through their belt business. Zac shares his inspiration and philosophy on Social Enterprises. Zac believes in producing captial for change, and not merely asking for donations. That is why Mission Belt is a for-profit company that produces and sells belts in order to have the means to change the lives of those living in poverty. Mission Belts does this by funding Micro-Loans which are given to those in poverty to start a sustainable agricultural business. Zac stresses that without sustainability, there is no mission. As you listen to Zac, think about how you can produce your own change. Young or old, we all have been given the opportunity to make money as an entrepreneurs and business professionals. Why wait to give back? Social entrepreneur Vincent Ko shares about creating a clear vision for social change as the founder of Panda. Vincent shares his inspiring story of starting a life changing fashion company despite not having any design background. Panda sells high-end sunglasses handmade from sustainable bamboo and partners with Optometry Giving Sight to donate eye examinations to those in need. Vincent shares how he used his passion for a cuase to grow his fashion company into a movement for social change. Vincent Ko and Panda design sustainable sunglasses to give sight to those in need. How will you be visionary? START HERE: The Launch of Voices of Social Change! Josh - the founder of Social Change Nation talks about his personal philosophy, the promises of Social Change Nation, and the format of the Voices of Social Change podcast. Welcome back - today's show features Idahosa (pronounced ee - DOW- ssah) Ness who has pioneered The Mimic Method of learning languages. His philosophy is that a world that is connected through music and language is one that is better for us all. To this end, Idahosa devotes himself full time to teaching others to speak multiple languages (he speaks four himself!). His revolutionary strategy involves music as a connecting force for language learning! Don't miss this exciting innovator unpack his story! This is one of the most inspiring interviews I've ever hosted! Carmel Boss founded CoAbode, a network across the country which allows single moms to connect with each other and share housing. The result is safer neighborhoods, better schools for their kids, and support as the experience shared struggles and victories. I'll let Carmel take the story from here - but it is an incredibly inspiring message that has given me amazing insight into a cause of my own! (shared housing for refugees) tune in, and see what Carmel Boss and CoAbode can inspire you to do in your community! Madeline K. provides us with some awesome insight that she honed on a Semester at Sea. While at Sea, Madelin founded a company called Ubuntu coffee with a tremendous social mission - tune in as she break's it down for us, and inspires us about what the newest generation has in mind for social business! In this episode, Josh reviews this week's focus on one-for-one business models in Social Entrepreneurship, talks about the power of story, the buying power and clout of millennials, and closes with some updates on some exciting tech changes to the podcast. In my first live interview, I spoke with Kyle FitzGerald of Life Equals - an amazing cause based company right here in my hometown of Kansas City. Life Equals offers multivitamins both direct to consumer, and via channels such as Whole Foods. In turn, each purchase of multivitamins here in the U.S. leads to a one-for-one donation of a supply of multivitamins to a child in one of 50 countries where undernourishment is an extreme problem. Considering that malmourishment can be directly tied to some of the largest health issues in developing nations, Kyle and the team at Life Equalsare tackling one of the world's most pressing problems with their business. Tune in for some amazing practical tips and strong wisdom from a one-for-one company making a dollar and a difference. Carolyn Davis provides us with some excellent strategies for running an innovative organiztion designed to create financial literacy among families most in need of it. Josh signs on solo to chat through some changes around this podcast that will make it more valuable, and makes promises to change nation. He also talks about what he's doing to resolve some recent tech issues that have shown up in podcast quality. Another chat with the UK! This one is with Belinda Bell, who is running a Social Biz Incubator near Cambridge U.
Ari Weinberger is videographing the social change movement - tune in as he shares amazing stories from several of the change agents he's interacted with along the way - and also fills us in on a pretty cool video project! Learn about TaskSquad - an innovative social venture in the UK. A great interview with the Social Finance organization - pioneers at a new form of social enterprise funding here in the U.S. known internationally as social impact bonds. Recording quality = a little down because of connectivity issues (I promise very few of my interviews are this way! I've had to learn a bit as I go :) but well worth the listen - especially if you're looking for an innovative way to measure and fund social change! A must listen! My first interview with India, and I loved it! Dr. Pathak is an amazing agent of change - tune in as he tell his story and why he has proven that his work transforming Indian sanitation has been a tremendous force for social justice in his home country. The interview can be a tad hard to understand at times, but I promise it's worth the listen! Tune in for a great overview of social entrepreneurship from Maria Meyers, who heads up an innovation center in Kansas City. She has some terrific insight to help us lay the foundations for our future conversations! Josh (host of Social Biz Showcase) shares his story, the mission of socialchangenation.com, and what's to come as part of the Social Biz Showcase podcast.